Book your Ola Outstation ride today and get discount of 250 Rs. using ThePromoX exclusive Ola promo code. 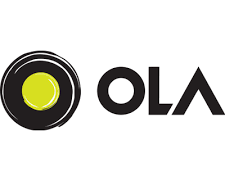 These Ola coupons are valid on First Outstation Booking only. If you have already taken your first ride use code TRAVEL15 and get 15% off up to Rs 150. This is valid Once per new user for Outstation. Apply the given mentioned code while booking to avail this amazing offer.